This new versatile boot is great for the woman who is up for an adventure anytime. I recently got to test this boot while I was out West and loved it; it looked great with jeans and with leggings, from shopping to exploring the beautiful B.C terrain. 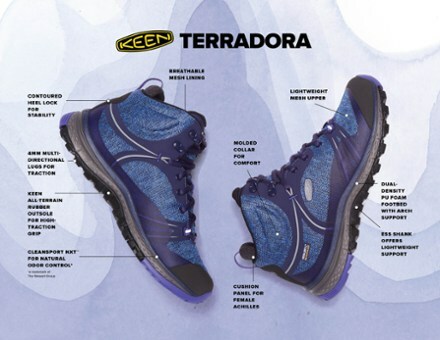 They are waterproof, very light, and great for every type of terrain. The fit of them was great, and there was really no break in period for this boot. The ankle support was great for me since I tend to roll my ankles when hiking. I would recommend this boot to anyone that’s looking for a versatile spring/summer shoe! They come in 5 different colors and they also come in a low cut style.